On July 8, 2014, Russia orbited its latest version of a weather-forecasting and remote-sensing satellite, known as Meteor-M No. 2 (a.k.a Meteor-M2). The same rocket also released a cluster of secondary payloads. Meteor-M No. 2 lifts off on July 8, 2014. 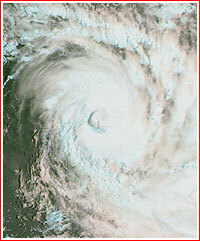 The satellite was designed to operate in orbit for five years. It will become the second spacecraft in the Meteor-3M network, complementing the Meteor-M No. 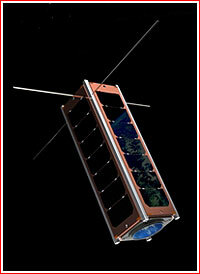 1 satellite, which was launched on Sept. 17, 2009. In addition, the Russian space program funds the development of the two similar Meteor-M No. 2-1 and 2-2 satellites, as well as the Meteor-M No. 3 satellite, which is custom-designed to carry a phased-array radar for high resolution observations of the ocean surface. 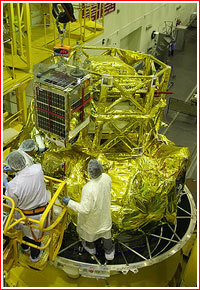 All spacecraft in the series were developed by the Moscow-based VNIIEM corporation based on its Resurs-UKP platform. As of beginning of 2014, the launch of the follow-on Meteor-M No. 2-1 satellite was scheduled for 2015. 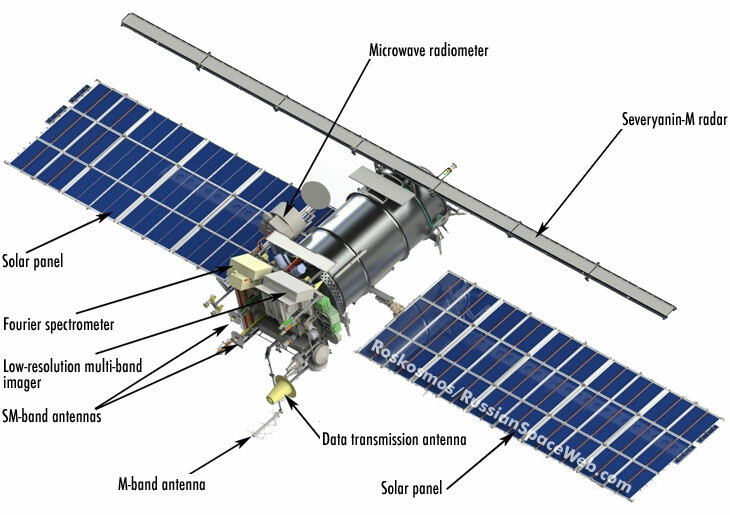 The heaviest secondary payload riding to orbit along with the Meteor-M2 satellite is the 157-kilogram TechDemoSat-1 satellite (a.k.a. 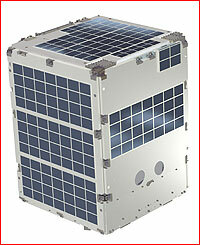 TDS-1) developed by the British company Surrey Satellite Technology Ltd, SSTL, in Guildford, UK. The spacecraft is based on the company's standard SSTL-150 platform and carries eight instruments supplied by various British developers. They include payloads for the monitoring of the ocean surface through tracking GPS signals and an infrared radiometer for scanning of the Earth's surface, as well as "space weather" sensors designed to detect charged particles. The satellite is also equipped with a solar sail, which is expected to be used for the reentry into the Earth atmosphere at the end of its operational life in orbit. 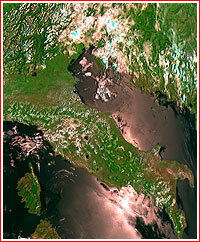 TechDemoSat-1 was partly funded by the British government through its Technology Strategy Board. A US-based startup company Skybox Imaging is launching its second test satellite with a mass of around 100 kilograms, carrying a camera for photographing the Earth's surface. MKA-FKI Relek spacecraft built by Moscow-based NPO Lavochkin is based on the Karat platform and will be used for ionospheric research. The DX1 satellite was built by Dauria Aerospace and will carry the first Russian-developed payload for the Automatic Identification System, AIS, used by sea vessels around the world. It will be used by the company and by the Russian Transport Ministry. The main body of the 22-kilogram spacecraft measures 20 by 30 by 40 centimeters. The 7-kilogram AISSAT-2 satellite was built by a laboratory at the University of Toronto, SFL/UTIAS, for the Norway's space center. Like DX1, it will carry the Automatic Identification System, AIS, payload. 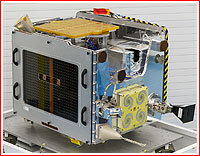 The 3.5-kilogram UKube-1 satellite was built by Clyde Space Ltd. of Glasgow, Scotland, for the United Kingdom Space Agency, UKSA. 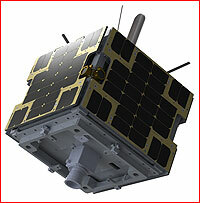 Based on the 3U platform, the satellite carries four payloads developed in the UK, including an imaging sensor. At various points in time, the secondary payloads during the launch of Meteor-M No. 2 also included the Baumanets-2 experimental satellite for the Bauman State Technical University in Moscow, the M3MSat for the Canadian Space Agency and Venta-1 for Ventspils University, Latvia. Baumanets-2 and Venta-1 were dropped from the mission at the early planning stage. 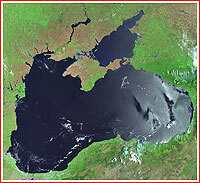 However, the M3MSat sea-watching satellite built by COMDEV was pulled from the mission in April 2014 by the Canadian government, as a result of the Russian conflict with Ukraine. However, in order not to change dynamic parameters of the Fregat upper stage and avoid resulting changes and re-checks of the flight program, mission planners added a mass mockup of the M3MSat, which would be released in orbit, as it had been originally planned for the actual satellite. The main payload for the mission -- the Meteor-M No. 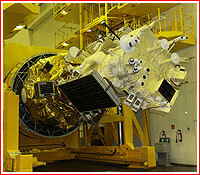 2 satellite -- arrived at Baikonur on April 17, 2014. Its launch was originally scheduled for March 2013, but technical problems with the satellite pushed the mission to August-September period, then to December, then to late February 2014 and to March 27, and, yet again, to June 1, June 19 and June 28, 2014. At the beginning of that month, the mission had to be postponed until July 8, this time, due to problems with the Fregat upper stage. The fueling of the stage was completed during the night from June 22 to June 23, 2014. 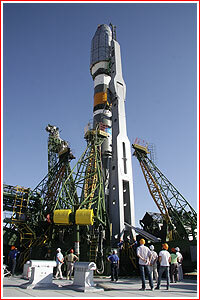 The pre-launch processing of the launch vehicle and its payloads for the mission was conducted at Site 31 in Baikonur. Meteor-M satellite was attached to its Fregat upper stage on June 28 and the integration of secondary payloads was completed by June 30. 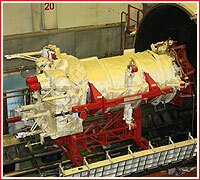 A fully assembled Soyuz-2-1b rocket was rolled out to the launch pad on the morning of July 5, 2014. On the afternoon of the launch day, Roskosmos announced the State Commission overseeing the launch cleared the rocket for fueling, however, a sentence promising live video broadcast of the liftoff was edited out from the online version of the press-release. A broadcast page was also deleted from a launch infrastructure contractor, TsENKI. A Soyuz-2-1b rocket with a Fregat upper stage lifted off as scheduled from Site 31 in Baikonur Cosmodrome on July 8, 2014, at 19:58:28 Moscow Time (11:58 a.m. EST). The launch vehicle is carrying a Meteor-M No. 2 spacecraft, along with a cluster of six secondary satellites. 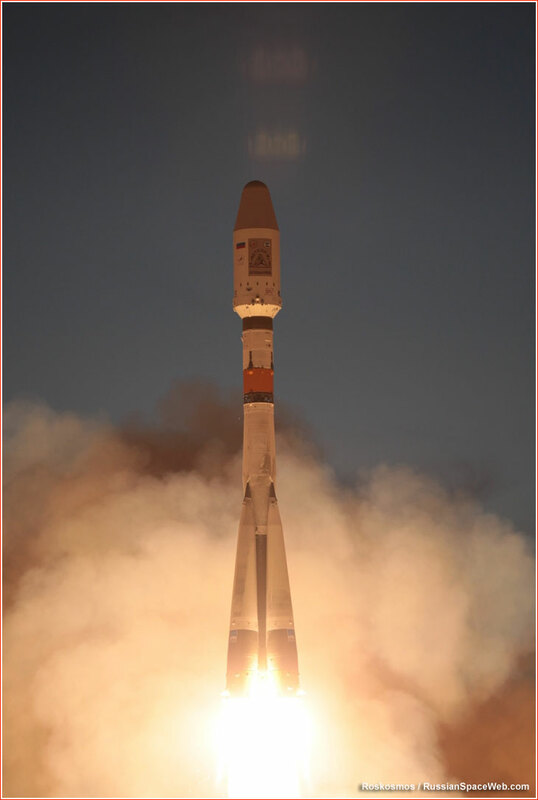 Following its liftoff from Baikonur, the Soyuz-2-1b rocket headed north, inserting the Fregat upper stage and its seven payloads into an initial 191 by 212-kilometer parking orbit with an inclination 98.8 degrees toward the Equator, while flying over the Arctic Ocean. Four boosters of the first stage impacted drop zone No. 120 on the border of Kostanai and Aktyubinsk regions in Kazakhstan and the second stage, the tail section of the third stage and a payload fairing were to fall at drop zone No. 401 between Permskiy Krai and Sverdlovsk Oblast in Russia. The third stage of the rocket reached orbit. The Fregat then fired its own engine to stretch the orbit into an elliptical shape with an apogee (highest point) of almost 814 kilometers. After a period of passive climb, the Fregat will fire its engine again near the apogee to circularize the orbit. The Meteor-M No. 2 spacecraft was then released into a near-polar, Sun-syncrhonous orbit, which will keep it on the sunlit side of the Earth. The satellite's developer -- VNIIEM corporation -- publically confirmed a successful delivery of the satellite at 19:58 Moscow Time. After returning into the range of Russian ground stations, Fregat conducted its third maneuver to lower its orbit to 638 by 825 kilometers, where a top section of a truss that served as an interface between the Fregat and the Meteor was jettisoned. Then, the MKA-FKI (PN2) satellite was successfully released. The Fregat then conducted its fourth firing, lowering the orbit to 635 kilometers, where remaining secondary payloads and a mockup of the M3MSat spacecraft were deployed. The Fregat will then conduct its fifth maneuver to plunge itself into the Earth atmosphere over the Pacific Ocean. Elapsed time, h, min, sec. 1 h. 38 min. 25 sec. 1 h. 38 min. 37.22 sec. 1 h. 39 min. 07.22 sec. 1 h. 40 min. 47.34 sec. 2 h. 26 min. 55 sec. 2 h. 27 min. 2.76 sec. 2 h. 29 min. 32.88 sec. 2 h. 31 min. 32.88 sec. 2 h. 33 min. 12.88 sec. 2 h. 34 min. 12.88 sec. 3 h. 27 min. 40.3 sec. 3 h. 28 min. 03.49 sec. On July 25, 2014, Meteor-M No. 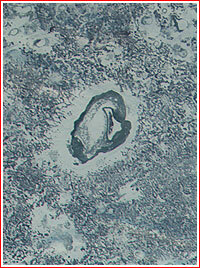 2 delivered its first image using low-resolution scanning device, MSU-MR. According to Roskosmos, the instrument, operating in all its six spectral ranges, demonstrated good performance. On August 9, 2014, Roskosmos announced that the activation process for all instruments onboard the Meteor-M2 had entered its final phase and all payloads had undergone testing. Key instrument onboard Meteor-M2 dead? 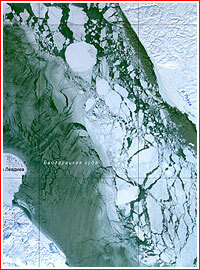 Sea of Okhotsk imaged by Meteor M2's KMSS instrument on Jan. 13, 2015. However no radar pictures were provided as of January 2015. Click to enlarge. 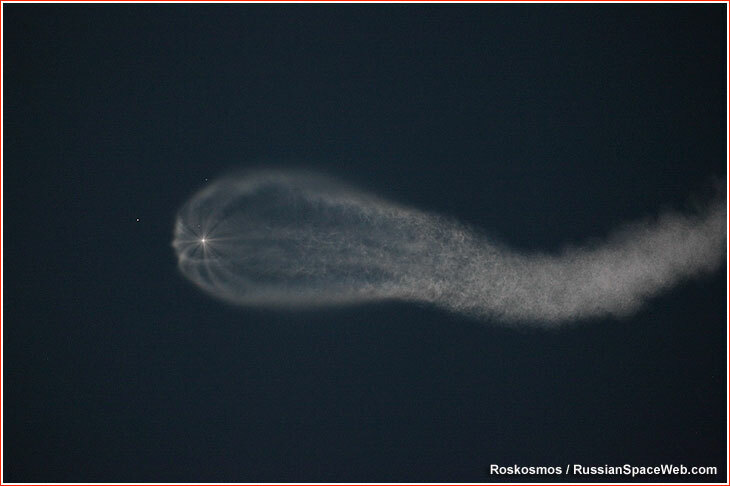 Almost half a year after the launch of the Meteor-M2 satellite in July 2014, the Russian space agency, Roskosmos, published a number of press-releases on the flight testing of its newest meteorological satellite along with numerous photos delivered by its instruments. However as important was what was not said or shown -- in particular any mentioning of the onboard radar. 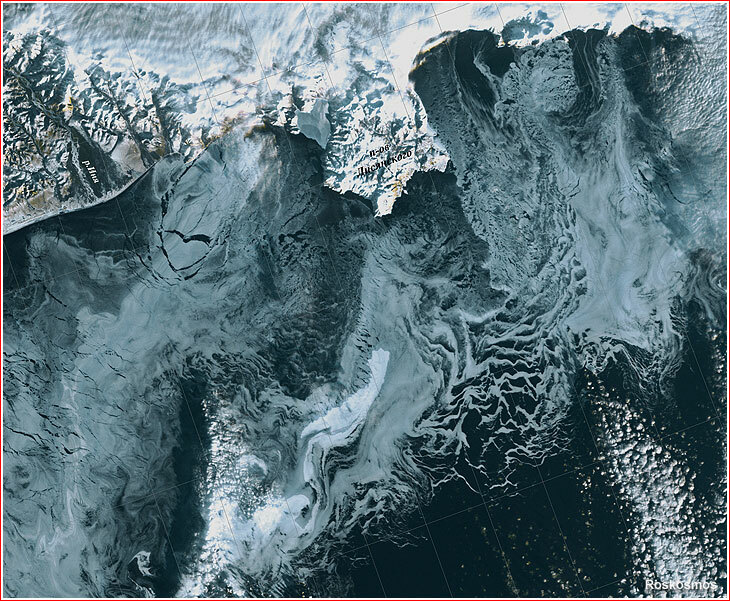 The 150-kilogram Severyanin (Northerner) X-band Synthetic Aperture Radar onboard Meteor-M satellites was designed to provide all-weather, day-and-night imagery of the Earth surface with a resolution as high as 400 meters. 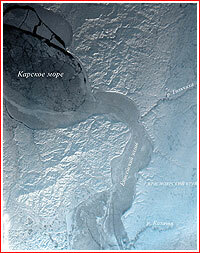 Not counting an imaging radar onboard the military Kondor satellite, the Severyanin was unique for the Russian civilian space program and would be well suited for monitoring sea ice cover, oil spills, forest fires and other remote-sensing observations. Unfortunately, as of beginning of 2015, no images from the instrument have been made public and most observers presumed that the radar had failed despite more thorough ground testing than that of its ill-fated predecessor onboard the first Meteor-M satellite. The next opportunity for the Russian meteorologists to operate a civilian Synthetic Aperture Radar might not come until the launch of the Meteor-MP spacecraft tentatively scheduled for 2021. On January 15, 2015, Roskosmos announced that the flight testing of the Meteor-M No. 2 satellite had entered a final phase. The press-release stressed that the prolonged testing was the result of a long list of checks and the complexity of procedures providing the correct operation of onboard systems and high quality of remote-sensing data. The statement went on to say that all calibration and testing efforts provided enough data to conclude that the spacecraft had been ready for operations. 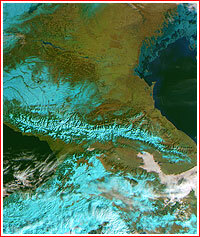 By that time, Russian meteorological agency, Rosgidromet, joined Roskosmos in processing the satellite's data, the space agency said. However payloads onboard the satellite, which were listed in the press-release did not include the Severyanin radar -- another strong indication that the instrument was dead. Moreover, at least one industry source said that the formal technical assignment for the Meteor-M system was edited to exclude the requirements for providing atmospheric measurements within limits necessary for practical application of such data. The list of measured parameters was also reduced, the source said. 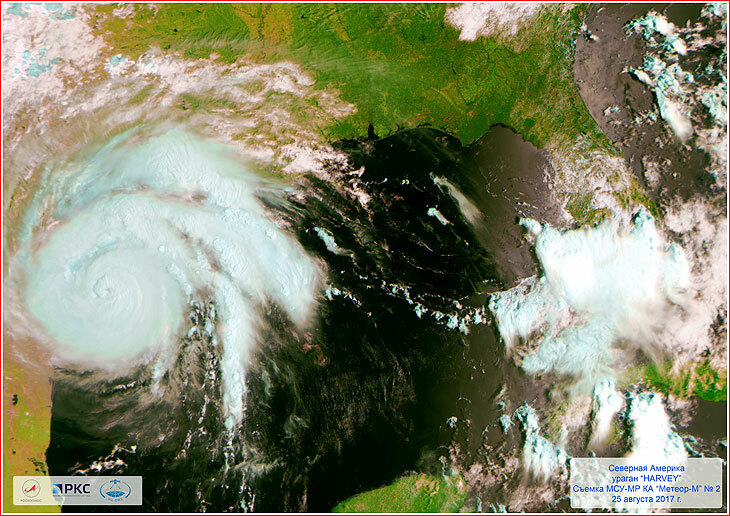 On Aug. 30, 2017, Roskosmos released a series of photos documenting Hurricane Harvey as it moved over the Gulf of Mexico and across the coast of Texas. The images were taken with the MSU-MR instrument and dated from Aug. 24 to Aug. 29, 2017, as the colossal storm was making its landfall, causing unprecedented floods in the southeastern Texas. UKube-1. Credit: Clyde Space Ltd.